With the influx of real estate technology assisting buyers and sellers over recent years, some may erroneously assume the role of the local real estate agent has become irrelevant. While house hunters across the country can surely benefit from consumer-facing real estate apps and national websites that allow them to get a jump start on the real estate hunt, individuals still require professionals to represent their needs throughout the transaction process, and well before the papers are even drawn. Enter the educated real estate agent who assists with all aspects of the home purchase, from seamless communication to directing buyers toward informed financial decisions. Below are just a few of the vital reasons buyers need their own representation when it comes time to purchase a new home as well as some of the many things agents provide to their buyer clients. Counter offers are tricky, but agents know how to handle them appropriately, including providing the proper paperwork and forms to make the best case possible for their clients. Agents have little emotional involvement in the process as well as the skills to maintain their cool, even when dealing with finicky sellers who do not know quite what they want or why they are arguing for those last few dollars. Your agent can help keep your nerves at ease, as they have seen sellers change their tune with everything from minor repairs to major negotiations. 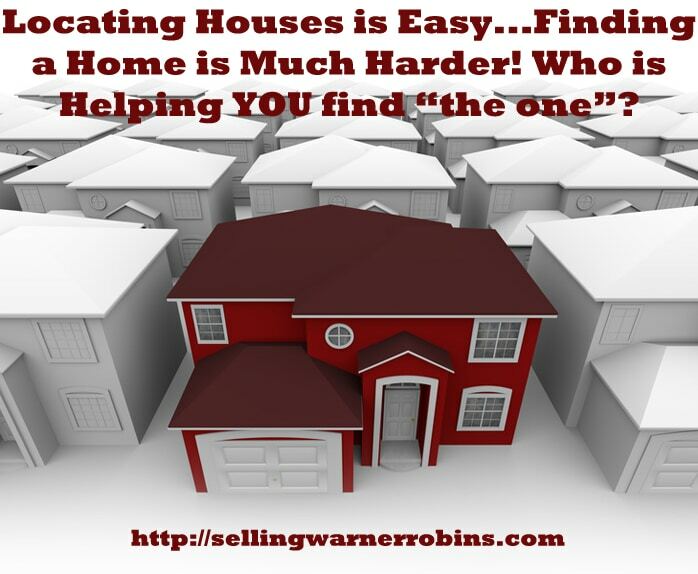 Invest time finding a top real estate agent and reap the rewards! Real estate closings rarely come to a final halt without at least a small hitch, given the size of the deals and the back-and-forth communication involved. Titles, lenders, structural issues…everything needs to be disclosed and cleared before properties are handed to the next owners, or new buyers can land themselves in deep financial troubles. Experienced agents can sense red flags and check for potential pitfalls before they arise, so you do not land yourself in situations that could cost you a fortune and tremendous stress. Sometimes, just having the aptitude and expertise of an agent can be a stress alleviation in itself, making the buying process much easier, allowing you to focus on the positives and not the potential shortcomings. By working with someone who is solely advocating on your behalf, you are accomplishing a few highly important, self-respecting tasks. First, you are looking out for your financials above all. A dual-agent, or a real estate representative of both the buyer and the seller, is likely torn between getting top dollar for their seller and supporting the budgetary interests of their buyer. Further, you might erroneously assume you will get a better deal by working with the listing agent alone, but house hunting solo gives shady sellers and their representation all the more reason to take advantage of unknowing buyers. As a new, inexperienced buyer, it is better to have a trusted representative by your side who can vouch for your requests. According to the National Association of Realtors (NAR), 87% of buyers purchased their home through a real estate agent or broker this past year! As if making a huge financial decision is not emotionally exhaustive enough, filling out the piles of paperwork involved in real estate deals is draining, too. Having a buyers agent to assist with documents, especially when it comes to explaining the real estate jargon and complexities, is a welcome relief toward the end of closing. Do not go without representation unless you are well-versed in real estate transactions and feel confident enough to sign on the dotted line without a professional’s guidance. Real estate search portals list millions of homes across the country, but word-of-mouth marketing is not dead. Buyers’ agents can learn about homes coming on the market before they have hit your local Multiple Listing Service or Zillow, and help get a walk-through scheduled early to provide you with an edge on the local competition. You will have the opportunity of making an attractive offer on a sought-after property that your neighbors without representation cannot contest. Experienced agents have unparalleled familiarity of their markets. You might think you have kept up on the local real estate trends, but it is your agent’s job to track data on the local market and target comparable properties for value assessments to make sure buyers make the best offers. The best agents thoroughly explain the purchasing process and do not leave buyers in the dark, too, so you can be confident in your purchase without feeling as though you missed prime opportunities. In the future, you may make better decisions in real estate with the tools taught by a few good agents from your past. Eighty-eight percent of buyers would use their agent again or recommend their agent to others (via 2015 NAR survey of buyers)! If you have tried to utilize one of the national online listing services, you know how frustrating it can be to search through hundreds of homes looking for the ideal property, only to find the home is either already contracted or sold when you start making your initial inquiries. Your buyer’s agent has access to all the latest tools, knows the local real estate market, and can quickly provide you with a shortlist of properties in your price point, style, community, school district, etc. There is absolutely no reason to go it alone when an industry professional can assist, regardless whether you are looking to buy a home or invest in a real estate property! It really is that simple. Moving house is hard enough without putting undue pressure on yourself to handle the myriad of tasks required to find, secure, and purchase a home. It makes much more sense to have an agent do the heavy lifting for you. Your focus should be on finding “the one” not having to worry about all the prep work that goes on behind the scenes before, during, and through the closing. Choose an agent wisely and your stress levels will not only be manageable but minimized too. Let’s face it, the home buying process can create a mountain of documentation. While buyers are responsible for gathering and submitting their mortgage information, many of the other pieces of paperwork can be handled by a competent agent. Having an agent working on your behalf who knows what needs to be submitted, and how much detail to provide, will ensure all documents have the T’s crossed and the I’s dotted to meet all imposed deadlines. With incredible scrutiny placed on ensuring documentation is right, do you trust yourself to meet all the requirements with only a cursory knowledge of this industry? The last thing buyers want is to have their closing delayed because of incorrect documentation! It is true. If a buyers agency agreement has been signed, your agent works for you and is legally obligated to work in your best interest. That gives you incredible leverage as they are able to share details about the neighborhood and house as well as negotiate on your behalf to get the best possible terms and conditions. A misnomer in our industry has been for consumers to call the agent on the sign or sitting in the model home, incorrectly thinking by doing so they will get a better deal. In fact, you may end up paying more as those agents represent the seller and always have their best interest in mind. Come ready, with your own agent, and get the home you want at a price you are comfortable with. Technology might provide assistance when it comes to finding your dream home, but it cannot replace the necessity of an agent by your side. To find a qualified real estate agent in your area, go online, do your research, and interview agents before you hang your hat with them. Your home purchase is most likely the largest purchase you will ever make…ensure you are fully equipped to get a good deal, in the right location, in the best condition possible. Searching for the perfect home can be a nerve-wracking experience. While there are currently some great deals out there for purchase, it is only natural to second guess yourself and to wonder if you are making the right purchasing decision. Furthermore, while it is a buyer’s market and you are likely to find plenty of sellers who are willing to throw in some extra perks in order to close the deal, many sellers don’t have the negotiating skills necessary to make these types of deals happen. For these reasons and more, it is in your best interest to hire a buyer’s agent when purchasing a home. In short, a buyer’s agent serves as more than just someone who will help you find the perfect house. Not only will your buyer’s agent help you find the right home in a shorter amount of time, but he or she will also work on your behalf to ensure you get the best deal possible. Whether you are a millennial buyer looking for your first home, looking to upgrade or downsize, or perhaps looking for your retirement place, there is no substitute to working with a quality buyers agent. Real estate is always local, so buyers and sellers should typically seek local advice. However, the benefits of using a buyers agent crosses all markets. Whether you are looking for a home in Toledo Ohio or looking to make a splash in the Perry Georgia real estate market, it makes sense to follow these guidelines on why buyers need their own representation in every real estate deal. Happy house hunting, and remember, there is no doubt…buyers need their own representation! 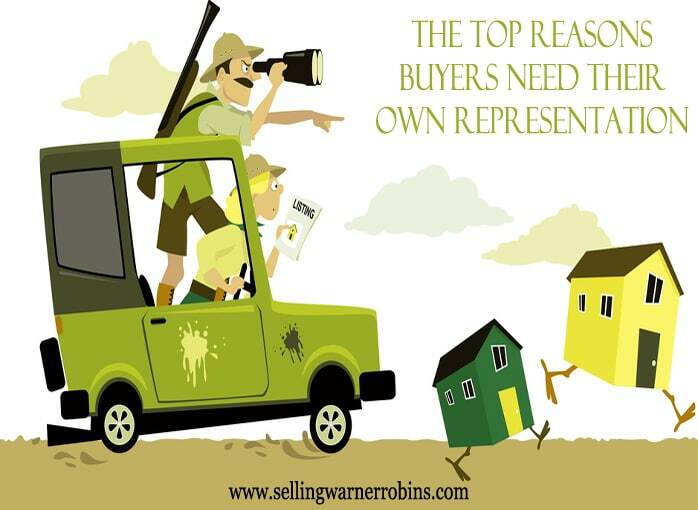 If you found this article on the Top Reasons Buyers Need Their Own Representation helpful, please consider sharing it via social media so others can benefit from the information.